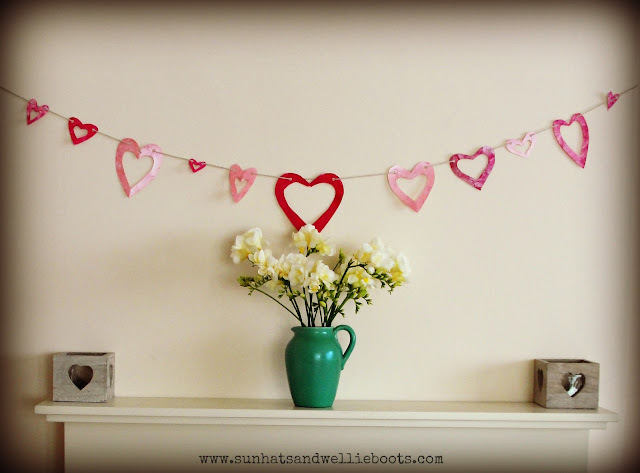 This bunting is so simple to create & brightens up anyone's day! 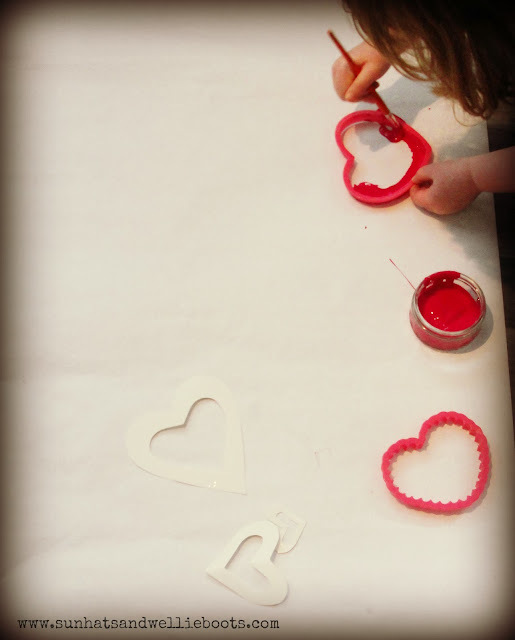 The other day I set up a painting area for Minnie to explore with a large sheet of paper, 3 shades of pink paint along with a selection of brushes, several heart cookie cutters (in different sizes) & some pre-cut heart templates. 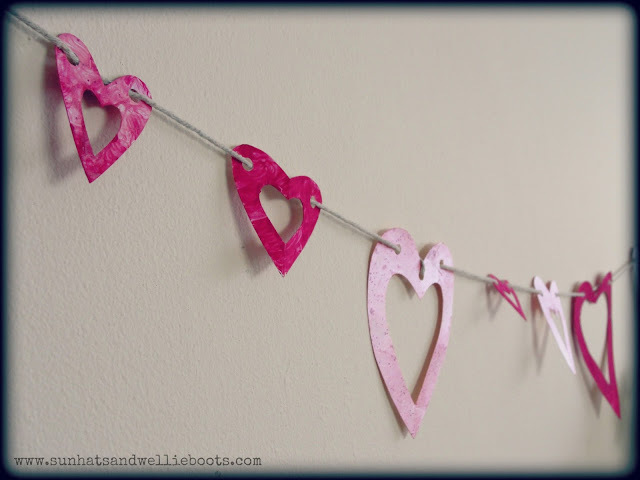 Recently she's been asking me to help her draw hearts, so I set this activity up as a way of offering her an independent space to explore & create these shapes. 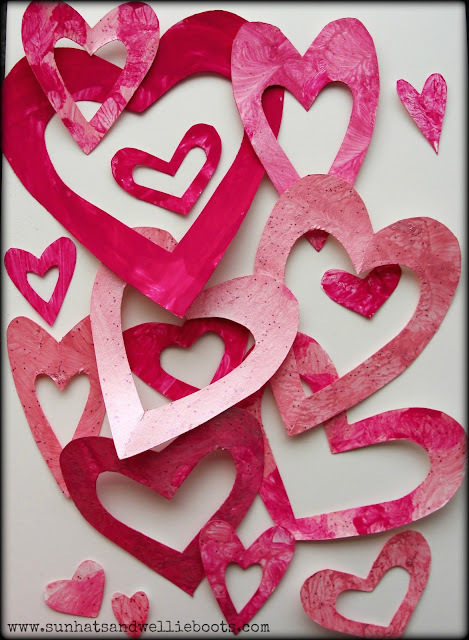 She carefully painted the inside of the cookie cutters, spread the different shades over & around the heart templates, & created heart prints with the wider side of the cutters. 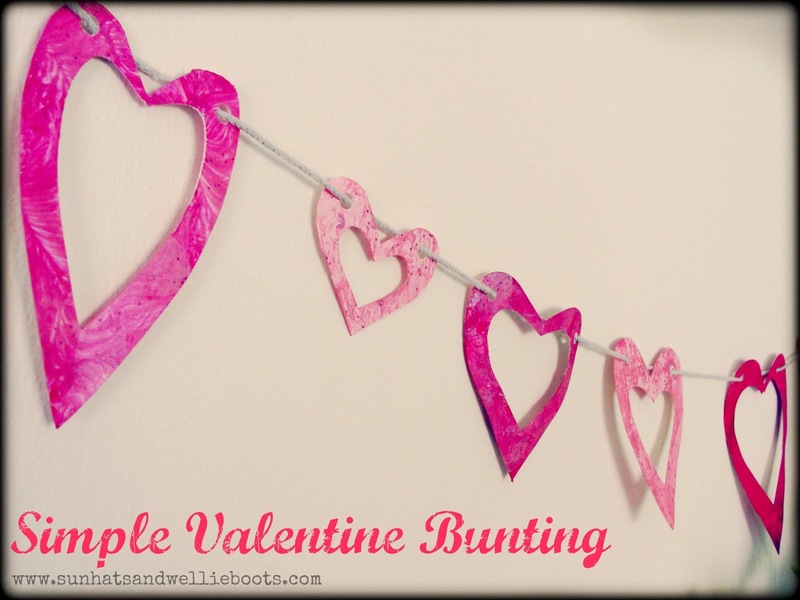 She's going to make Valentine cards using the prints below, but wanted to thread the heart templates together. Once dry the templates looked beautiful & could be used for a number of crafts, but Minnie chose to make just two! First up was her bunting, to make this she made two holes in each heart (with a hole punch) & then threaded each heart onto a length of string. The heart bunting certainly cheers up a dull February day, & Minnie is very proud to see her art work adorning the living room wall! Minnie also wanted to make a wand, so we kept a few hearts back & stuck them onto paper sticks to create a couple of Valentine Wands. 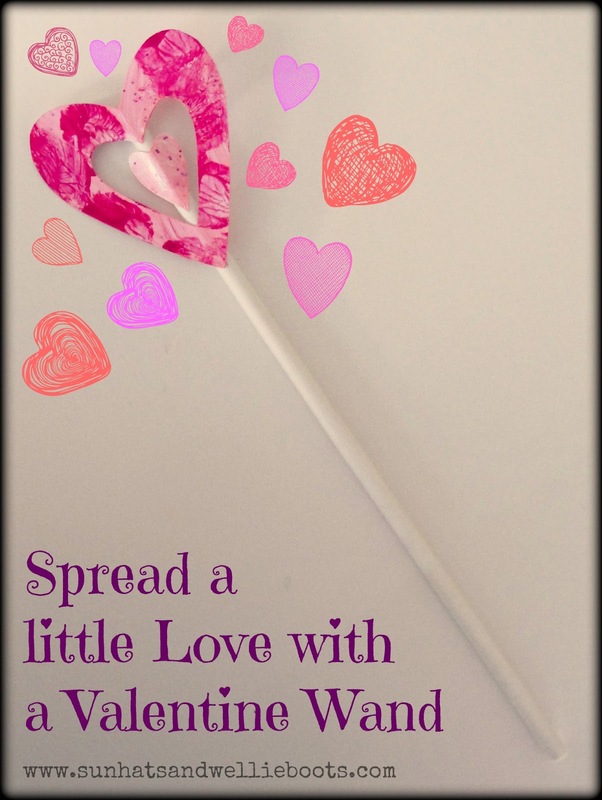 You could finish these off with ribbons, or glitter, but my Valentine fairy seems very happy with her wand just as it is. 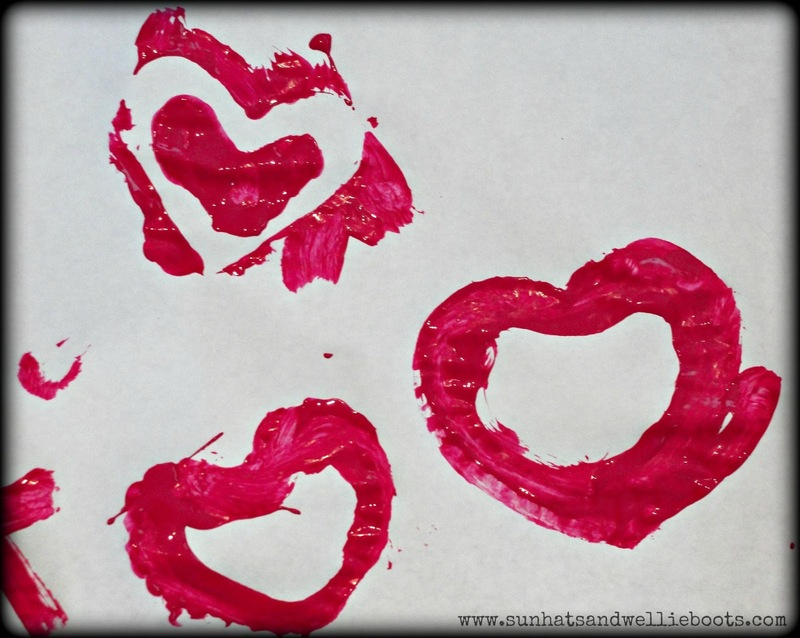 Two simple activities to share a little love, & encourage a little creativity & self-expression.